PINS (AUS) (Bay 1996-Stud 2000). 7 wins-1 at 2, VRC Australian Guineas, Gr.1. Leading NZ Sire (worldwide earnings) twice. Sire of 1070 rnrs, 734 wnrs, 79 SW, inc. El Segundo (MVRC WS Cox P., Gr.1), Ambitious Dragon, Legs, Aerovelocity, Katie Lee, Madison County, Porotene Gem, Econsul, A Touch of Ruby, Antonio Lombardo, Mackintosh, Legless Veuve, Shopaholic, Icepin - Regency King (H.K. ), Rolling Pin, Gallopin, Pinmedown, Lauren Tate, etc. Betty of Grable (f. by Pins). Winner. See below. Solar Star. 3 wins-1 at 2-to 1200m to 2018-19, MVRC Behind the Barriers H.
RIO FORTUNE (Captain Rio). 4 wins-2 at 2-at 1200m, NZ$84,800, S$96,804, ARC Mr Tiz Trophy, L, Foxton RC Castletown S., L, Singapore TC Humanity S., 2d Cambridge Breeders' S., Gr.3, Waikato RC Seafood Bazaar 3YO H., BOP RC Rimpac-Owens 3YO P., Singapore TC Class 3 H., 3d Singapore TC Chesterton Suntec Charity Trophy, Benchmark 74, Class 3 H.-twice. Parker's Piece. 3 wins at 1200m, 1300m, Waikato RC Fasttrackinsurance H., Nationwide Livestock H., 2d ARC Barfoot & Thompson H., Waikato RC Lowe Schollum & Jones H., 3d Waikato RC F&C Ritchie H.
French Tune. 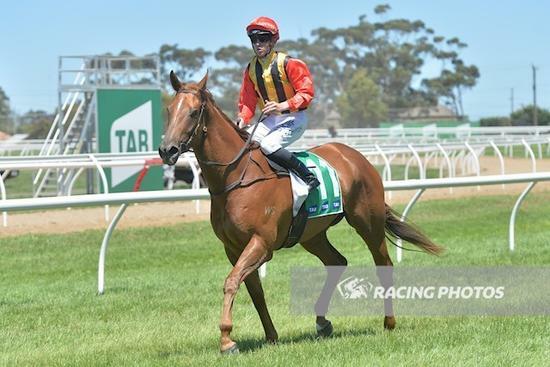 Winner at 1100m in 2017-18, ATC Pluck at Vinery P.
CONG'ER (Zenno Rob Roy). 5 wins. See above. Kavita. 2 wins at 2000m, Hawkes Bay Dunstan Feeds Championship Qualifier. Aviara. 15 wins-1 at 2-from 1000m to 1800m in Aust. Azraf. 2 wins at 1600m, 2100m in NZ. Accord. 3 wins at 2400m, 2500m, R186,090, 3d Clairwood Durban Domestic Electrical Contractors H.
Edensor - Reaching (Mal.). 4 wins at 1100m, 1200m in Malaysia, 3d Hawkes Bay HB Master Plumbers H.
Sister Swank. 3 wins from 1200m to 1600m, A$80,280, SAJC Betfair H., 2d SAJC Adelaide Casino 2YO P., Schweppes Tonic H., Adelaide Casino P., 3d Darwin Guineas, SAJC ACG Security H.
CONIFER BAY (Virginia Privateer). 4 wins. See above. Caucus (Copsale). 5 wins-1 at 2-from 1200m to 2000m, HBJC President's H., Hastings Cup, Opunake RC Keith Pennington Memorial H., Manawatu RC Fairdale S., 2d New Zealand Derby, Gr.1, Avondale Guineas, Gr.3, Manawatu Cup, Gr.3, Opunake RC Ernie Poole Memorial S., L, 3d Wanganui Championship S., L.
Gallant Prince (Dorchester). 5 wins at 2000m, 2200m, Manawatu RC Eric Templeton Memorial H., CJC Canterbury Land Resources Welter H., Manawatu RC NZ Breweries H., 2d New Zealand Cup, Gr.2, WRC Sorrento Bay H.
Shift Time. 6 wins from 1200m to 1600m, Southland RC Ocean Beach Freezing Co Ltd H., Winton JC DB Double Brown H.